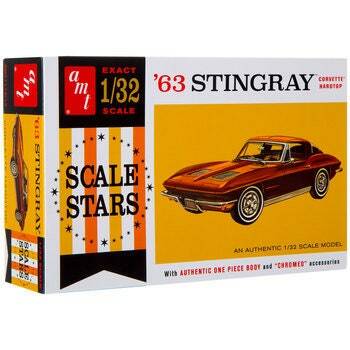 Add to your special model collection with 1963 Corvette Stingray Model Kit! This charming kit features all the parts and pieces necessary to create a 1963 Corvette Stingray with gorgeous chrome accessories like hub caps, a rear bumper, license bezel, steering wheel, and much more. Assemble the model, and add it to the top of your dresser or a shelf to display it with pride!